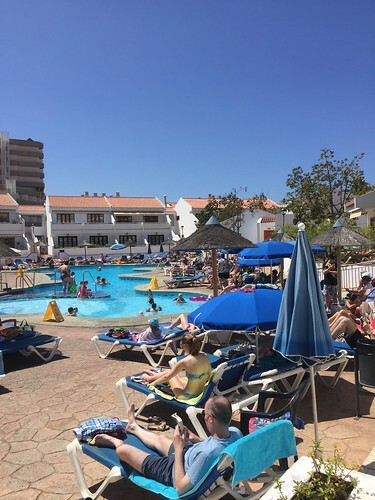 We have enjoyed a superb winter here in Tenerife this year. 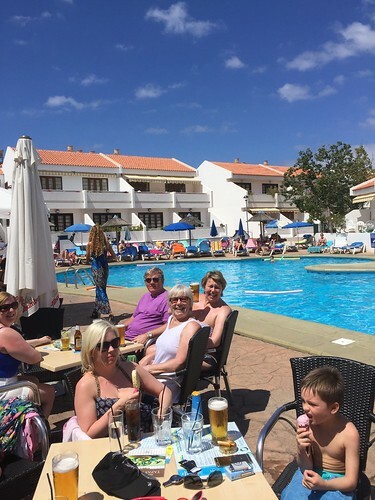 While much of the UK has suffered a wet and windy year so far, the Canaries have had record sunny days. 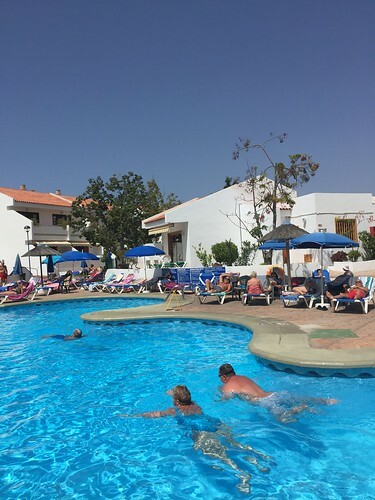 At Club Olympus we began providing a degree of entertainment on Tuesday and Thursday afternoons. This has very quickly become a great hit. 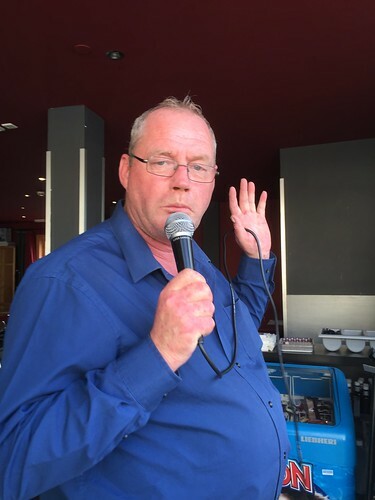 Our compere Gordon Slayney (pictured below) does quizzes, Karaoke and live entertainment. We totally understand that Karaoke is not everybody's 'cup of tea' so those who don't like it generally retire to our quiet top-pool. We endeavour to give people what they want, be it peace and quiet or a more lively holiday experience. 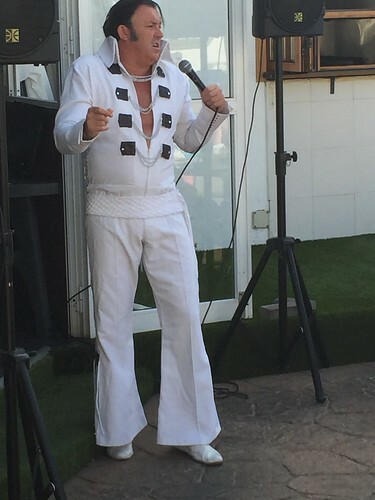 A great feature of Tuesday and Thursday party afternoon is the world famous Comedy Elvis "Leslie Presley". Leslie delights in taking requests and intereacting with his audience. He is seriously good fun! and..........he really does think that he is Elvis! The whole Pool area gets involved and has a blast. 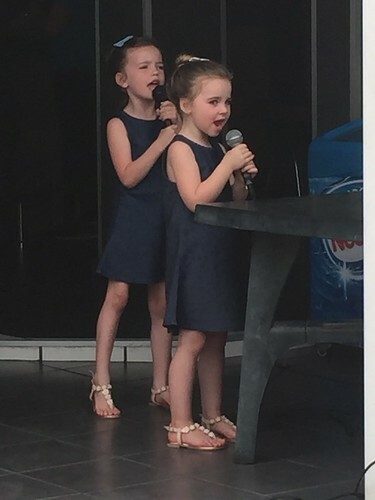 As mentioned, Karaoke isn't for everybody but many people do enjoy it, especially the kids who love to sing. (If I hear 'Let it go' from Frozen one more time this year!!!!!) Guess what the girls below are singing? We have been really busy too throughout the winter and our bookings are already through the roof for next year so get booking if you want to join the party! Who DOESN'T want ice-cold beer, ice-cold errrr ice-cream and glorious sunshine?